Three adorable tales of brave pups against the odds, to tug at your heart-strings all holiday long! Will Alfie be left all alone when a new baby is born? Will Timmy manage to turn an angry ginger cat into a friend instead of an enemy? 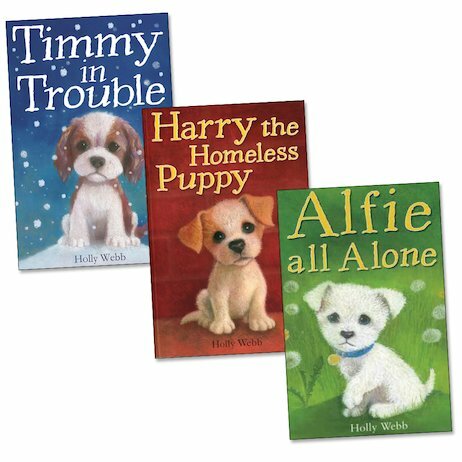 And when Harry the homeless puppy finds a new home, is he about to lose the best friend he’s ever had? Find out in these oh-so-cute books from bestselling author Holly Webb.